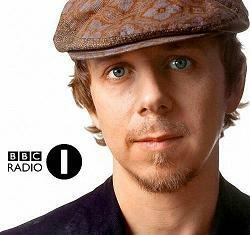 Do you listen to Gilles Peterson's Worldwide (either on BBC Radio 1 or via his website) radio program? If you don't, you're missing out big-time. Dude is an unassailable taste-maker with crates so deep the bottom is in China and he frequently has great guests on who share choice cuts and interesting stories. First up is The Bongolian, which is definitely a fun name for an act and also an apt one considering the percussive core of the music on Outer Bongolia. But Nasser Bouzida doesn't just play the bongos - every note and instrument was played by Bouzida (and with his live band he tackles the organ, keyboards and timbalis). As much as percussion is a factor in the success of Outer Bongolia, the organ and keyboards are the not-so-secret ingredient; the warm tones Bouzida draws out of 88 keys have a throwback sound that could convince the average listener that this was one of those albums unearthed by the likes of Numero Group or Soundway. Take a listen to funk and Latin Soul of "The Horn" and see what I mean. Don't forget to check out The Bongolian's website and Myspace page. Another record that sounds like it could have been discovered in a dusty shop on one of Peterson's global digs is Tidings by London, UK quartet Wolf People - I swear I can hear crackles on some of these cuts like the CD was ripped from vinyl. Of course the fact that they have 'WOLF' in their name is a pretty blatant clue this band was formed in the past few years [see also: Bear, Beach, Trees, and Girls]. Unlike The Bongolian, Wolf People's album would have been discovered in Haight-Ashbury or some other former hotbed of psychedelia and stoner rock. The lengthy list of influences on their Myspace page includes Jefferson Airplane and Captain Beefheart and there are definitely echoes of those bands on songs like "Storm Clouds" and "October Fires." And while I don't see Jethro Tull on the list, Wolf People may be the first band since Ian Anderson & co. to rock a flute front-and-center. The album was released on Jagjaguwar this past February and it represents a rare step off the continent for a label known for some fantastic Canadian and American bands [Ladyhawk, Okkervil River, Bon Iver and more]. I'm not sure what UK label would have been a fit for Wolf People, but listening to this album you could definitely picture them on a bill with label mates Black Mountain. Don't forget to check out Wolf People's website. Sometimes it takes a while for me to find an album (and sometimes it takes a while for an album to find me...) and this is one of those times. Weathervanes, the new album by Queens-based [though I've read they now call Williamsburg home] Freelance Whales, was released on the ever-reliable Frenchkiss Records in mid-April, but arrived at UMFM at the end of March. Unfortunately this coincided with my time away from the station while I was on parental leave and a lot of albums fell through the cracks as I was listening to more Sesame Street than Sleigh Bells. Since my return to a full-time post I've been little-by-little going through albums that I missed (while attempting to stay on top of the new ones arriving daily) and that's how I only came across Freelance Whales earlier this week. I'm just happy I came across it all, let alone 'late' because Weathervanes is a friggin' awesome record. Front to back, top to bottom awesome. Delicate but not precious, full-sounding but not overly muscular, immediately catchy but not simplistic or disposable; these are the thoughts that come to mind as the songs burrow deeper into my subconscious with each new listen. The instrumentation rewards repeated listens as keyboards and glockenspiels can sometimes be hidden behind the guitar, banjo and drums. Yup, that's right - banjo. Gotta love a pop group that manages to make songs with banjo that don't sound like they belong on the Smithsonian Folkways collection. Take a listen to album opener "Generator 1st Floor" and tell me you don't love it. Don't forget to check out Freelance Whales' Myspace page and website. With the imminent start of World Cup 2010 in South Africa (go Cote d'Ivoire!) it seemed a good time to turn my Ear To The Sound to some of the music from the African continent. 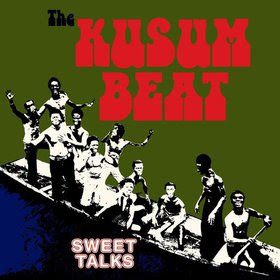 For those of us who can't afford to travel to Ghana to do our own record-shopping the fine folks at Soundway Records have reissued one of that country's biggest acts of the 1970s sophomore effort; Sweet Talks' The Kusum Beat. Sweet Talks was formed in late 1973 in Tema, Ghana and the ten-piece outfit quickly grew out of its role as the house band at leader Jonathan Abraham's The Talk of the Town Hotel and started appearing on larger stages across Ghana. It's no surprise that the album is steeped in the highlife sound that their country birthed and later exported to the rest of West Africa ("kusum" apparently means 'native' in Twi), but Sweet Talks incorporated Afrobeat and funk elements into their music and created a highly danceable and exiting new sound that has stood the test of time. It's as vital and energetic 36 years on as it was when it was first released in 1974. Take opener "Akampanye" with its great vamping organ work and percussive shuffle - the horns that dance atop the rhythm section may have the melodic line, but they also reinforce that beat moving it ever forward. Fans of the Nigeria Special compilation series that Soundway has previously released will definitely want to check out this great full-length album - it's like ordering a big steak instead of the appetizer sampler platter. You can listen to "Eyi Su Ngaangaa" on Dusted's review of The Kusum Beat.